Hey, Whole30, Make Me a Sandwich? So, the answer is yes… and no. There are plenty of substitutions for bread, if you get creative. Many are hearty, almost all are nutrient-packed, and none are likely to make you less healthy. But they’re not bread. And we’re going to suggest that recreating bread isn’t the answer. 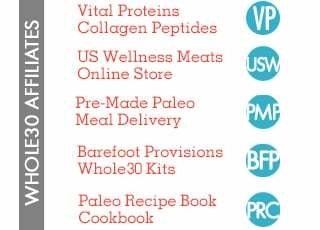 There are plenty of “paleo” bread options and recreations that you could utilize… in life after your Whole30. Some are pretty good options, like cauliflower or plantain tortillas, or Pure Wrap coconut wraps; as they’re based in vegetables, fruit, and healthy fats, they’re still nutritious, and while reminiscent of tortillas, not meant to mimic their texture or flavor. Rather than try to find him a straight swap for bread (leading to less nutritious meals, followed by sadness that your “bread” wasn’t real bread, leading to even more cravings for the real deal), run through these substitutions until you hit on some combinations you like.  We bet the variety of options detailed here will keep your taste buds engaged, while still allowing you to hold onto the benefits (energy, sleep, happiness, and body composition) that you achieved through the Whole30. Note, not all of these ideas are true “sandwiches.” Many require a knife and fork, and some are more “stuffed” than “sandwiched.” We encourage you to think outside the bun and get creative! Lettuce leaves (butter, romaine, endive). Lettuce can “wrap” just about anything you used to put in a sandwich, and can create a crunchy base for a non-traditional taco or burger. 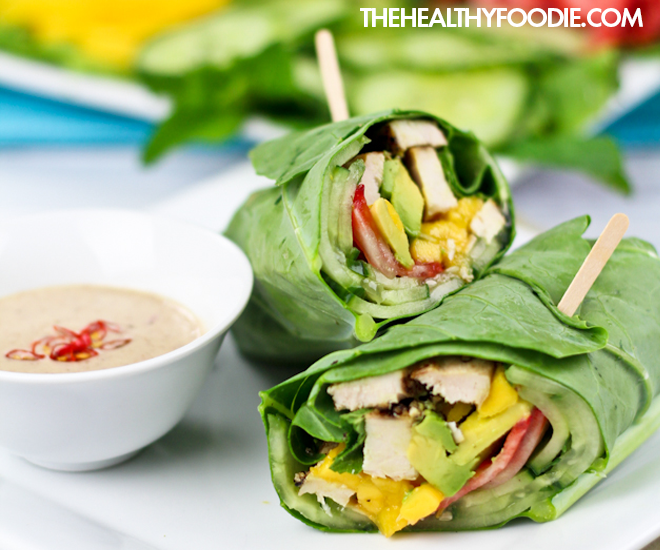 These wraps do best with cold foods, as warmth can wilt the delicate lettuce, and don’t over-stuff! Collard greens. Collard greens are both super nutritious and really hearty, so these function much like a real tortilla. Load ’em up with cold or hot foods; they’ll hold up well because the leaves are large and sturdy. Nori (seaweed) sheets. Yes, nori can be used to make Whole30-compliant sushi, but it’s also a great wrap for tuna salad, smoked salmon, or (despite the cultural mish-mosh) the Mexi Tuna Salad on page 238 in The Whole30. The sheets are pretty flexible and sturdy, and large enough to hold some pretty serious eats. Cucumber (sliced the long way, hollowed out). We featured our cucumber “cups” on page 234 of The Whole30, but slicing them the long way (into “boats”) is an easier option for everyday meals. Pair these with cold foods, like a Perfect Protein Salad (page 161 of The Whole30). Tomatoes or bell peppers (slices, halves, or hollowed out). 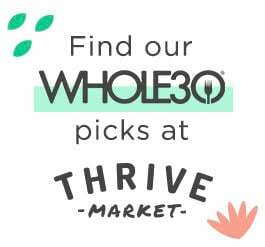 We feature tomatoes in The Whole30 with a burger, but these options work just as well to “sandwich” your favorite sandwich fixings, or stuff with a Perfect Protein Salad once you’ve hollowed them out. Apple or jicama slices. Slice them thick or thin from the roundest part of the apple and use them to sandwich your deli meat or Protein Salad. Sweet potato (slices or split and stuffed). We featured these on page 175 in The Whole30 around a burger, but these are a good bottom-and-top or “container” for just about anything; a Perfect Ground Meat (page 152) mixture, a chicken breast, a hot dog (sweet potato as the “bun!”), or your favorite egg-and-veggie scramble. Portobello mushroom caps. These are another good burger “bun” option, as their meaty nature and rich flavor lend them to heartier protein options, but you can also stuff the caps with a more traditional Whole30 mixture using shrimp, sausage, or pork. Eggplant slices. Like portobellos, these are another good burger “bun” option, as their meaty nature and rich flavor lend them to heartier protein options. They can also be a good “base” for an Italian-style ground meat or chicken mixture. Roasted red peppers. Like tomatoes, you can either slice these the long way to make a “sandwich,” or roast them whole and stuff them with Brisket (page 214), your favorite pulled pork, a ground meat mixture, or scrambled eggs with veggies. Zucchini or summer squash. Sliced these the long way, hollow them out, and stuff them with any warm protein and your favorite veggies. Try chicken, thinly sliced steak, or a ground meat mixture, plus spinach, diced peppers and onions, and top with Tomato Sauce (page 324), Pesto (page 315), or Ranch (page 316). Who says the meat can’t be the “bun?” Take these protein options and wrap them around your veggies, fruit, and fat, then (optionally) dress or dip the whole package in your favorite dressing or sauce. Some of these hold together better than vegetables, so you may even be able to eat them with your hands for that true “sandwich” experience. As always, read your labels, and make sure your choices (especially deli meats, hot dogs, and sausages) are Whole30-compliant. Deli meat slices. 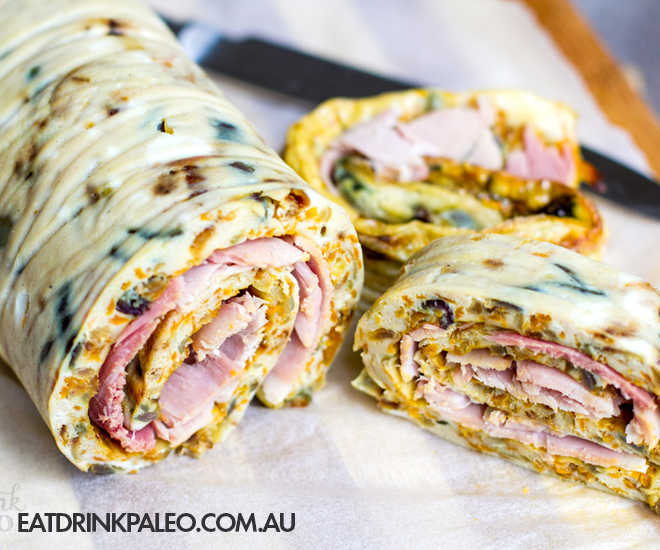 Use your favorite turkey, roast beef, or prosciutto to wrap your favorite cold sandwich fixings. Slice vegetables the long way instead of into rounds, to make it easier to hold everything in. Burgers. 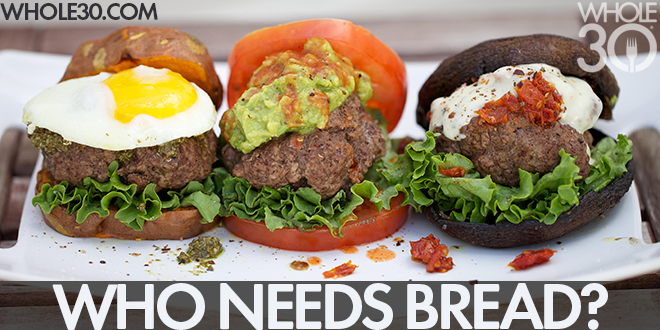 Cook ’em, slice ’em in half to make two thin patties, and put your burger fixings on the inside! 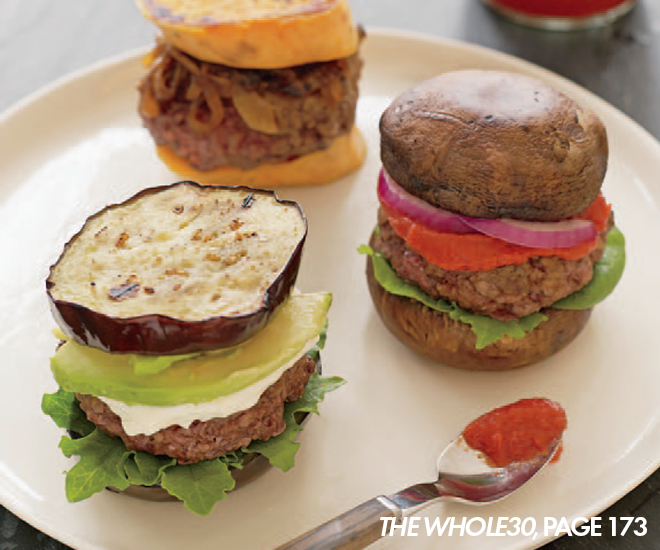 Top with Whole30 BBQ Sauce (page 321), Ketchup (page 323), or our Roasted Red Pepper Sauce (page 316). Hot dogs, sausage, or chicken sausage. These aren’t really a “sandwich,” but you can get pretty creative with what you stuff inside a hot dog or sausage split up the middle! Try sauteed peppers and onions, sauerkraut, salsa and guacamole, mashed sweet potato, or Whole30 Chili (page 342) for a healthier spin on a traditional preparation. Finally, don’t forget our sandwich-to-salad makever when dining out! Take any sandwich you see on the menu and ask that they place it over a garden salad instead of in bread. (You can do this with pasta dishes too; shrimp scampi is even more delicious over a bed of baby spinach!) The more creative you are, the more you’ll enjoy the variety of foods a Whole30 has to offer, and take these habits you’re building with you into Life After. Enjoy!